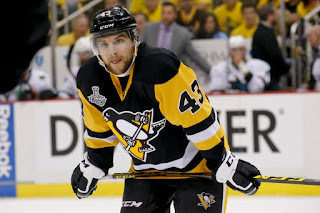 After a great stretch, the best of his career which saw him named Player of the Week on January 23rd, the Penguins will be without Conor Sheary for a while. Details are currently sparse, which is not a-typical for any sporting injury, but right now Sheary is placed in the press box for an upper body injury for until at least March. Coach Sullivan says that Conor Sheary has an upper-body injury. He will be out 4-6 weeks. We'll have more as it develops.